Many Christians are anticipating that a literal, physical “Jewish” temple will be rebuilt on the Temple Mount in Jerusalem prior to Christ’s return at the beginning of a 7-year peace treaty that Antichrist will make with Israel. They base this belief primarily on two passages, one from the Old Testament book of Daniel and the other from Matthew in the New Testament. Dispensationalists/full-Futurists (who both hold that the last, 70th Week of Daniel’s “70 Weeks” in Daniel 9:24-27 is delayed until the future, just before Christ returns) think that “he” in v27 refers exclusively to “Antichrist”. The purpose of this article is not to deconstruct this conclusion, nor to argue against the 70th Week as a future event, although both notions are certainly wrong. Rather, from the Leviticus 23 Feasts (for a background on them, read this and this) I want to argue that Feast #4 of 7, Shavuot (also called the Feast of Weeks), on which the Day of Pentecost outpouring of the Holy Spirit occurred, shows us that no temple will be rebuilt prior to the return of Christ, because followers of Yeshua (Christians) have become the Temple of God where His Spirit indwells our bodies, replacing the Old Testament temple, made of wood and stone, destroyed after Yeshua’s death & resurrection. Shavuot, or the Feast of Weeks or Pentecost, occurs 50 days after Passover and is traditionally celebrated as the day the Law, or Torah, was given to Israel gathered at Mt. Sinai in the desert after the exodus from Egypt. There is clearly a relationship between the two–the giving of the Holy Spirit (inspiring inner motivations and attitudes) supersedes the giving of the Law (regulating outward behaviors). So Mt. Sinai and Jerusalem, under the Law, were “covenantally” the same. The focal point of the old covenant/Law in Jerusalem was the temple since the sacrifices and ceremonies performed there were prescribed by the Law and its entire existence was due to Torah commandments; sacrifices were required to atone for sins against the Law. Hundreds of years before the temple was constructed, Abraham was commanded by God to sacrifice Isaac on the mountains of Moriah (Gen 22), later to become Jerusalem. The temple is thought to be built on the exact spot where Isaac was nearly sacrificed. One of the hills of Moriah/Jerusalem was Mt. Calvary, where Jesus was crucified. Isaac’s near sacrifice was a prefigurement of Christ’s sacrifice, who is God’s only Son, just as Isaac was Abraham’s only promised son (born of Sarah). Yeshua was the ram caught in the thicket (the cross), the substitutionary sacrifice for Isaac. Note that both the temple and Yeshua’s sacrifice are co-located on the mountains of Moriah, and both concern the atonement for sin. Yeshua prophesied the destruction of the temple (Mt 24:2, Lk 19:44) and the desolating of the old covenant (Mt. 23:38, Lk 21:20); the old covenant “died” when Yeshua died–the temple was part of the old covenant, given on Mt. Sinai, home of the descendents of Abraham and Sarah’s bondwoman, Hagar. Remember, we are born of the promise, not of the flesh. After His resurrection, the last place Yeshua was seen was on the Mt. of Olives, east of the temple mount. 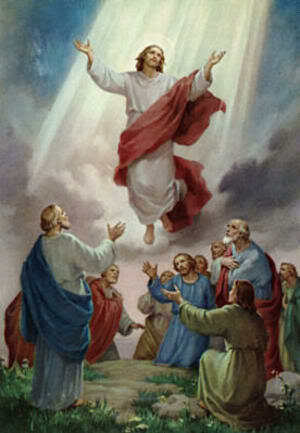 Yeshua then ascended directly to Heaven from the Mt. of Olives, across the Kidron Valley (also called the Valley of Jehoshaphat (Joel 3:2), the Valley of Decision and it was used as a trash dump) from the temple. So by His death and resurrection, Yeshua crossed over from the covenant of the law of sin and death, to life. The Mt. of Olives is even higher in elevation than the temple mount, transcending it. The Mt. of Olives is so called because of the olive tree groves that grew there–olive oil represents the Spirit of God, the Spirit was given on Shavuot/Pentecost, replacing the Law, given on the same day. Some olive trees there have been alive since the time of Christ, interestingly. Jesus will return to earth at the same place (Zech 14:4, Acts 1:11), the Mt. of Olives, not the temple mount. The Mt. of Olives will be split in two on the Day of the Lord when Yeshua returns, so that the suffering remnant in Jerusalem may flee (Zech 14:5); Mt. Olives represents the new covenant under Christ; they will be fleeing from the Law to the Spirit. 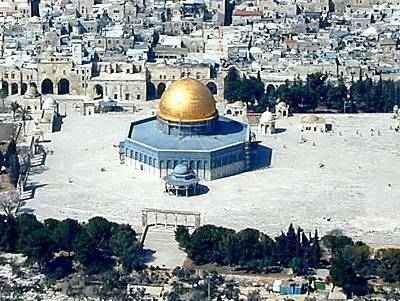 The population of Jerusalem will flee eastward away from the temple mount/Mt. Moriah/the Law to the Mt. of Olives/the Spirit, where Jesus will return to earth. Four of the Seven Leviticus 23 Feasts have been fulfilled, the last of which was Shavuot, marking the end of the Law/temple of stone and the beginning of the Spirit/temple of believers. 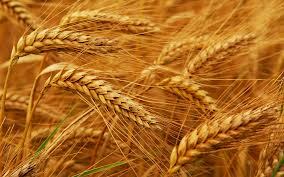 The Law was given on Shavuot and then superseded on Shavuot/Pentecost by the giving of the Spirit. There is a large break before Shavuot from the three early Spring Feasts and after Shavuot to the three Fall Feasts–there has been a break from the Law to the Spirit. The giving of the Spirit on Shavuot is one more evidence to the desolation of the old covenant and all that goes with it–the temple and the sacrifices. This Leviticus 23 feast is further testimony to the fact that the temple system will not return prior to the return of Christ. The problem is that in the Matthew 13 passage, while its clear that the wicked are removed first, later in the same book in Chapter 24, Matthew doesn’t even mention “the wicked” other than that “all the tribes of the earth will mourn”; he actually describes everyone on earth, presumably including the wicked, witnessing the gathering of the ‘elect’. So which is it? 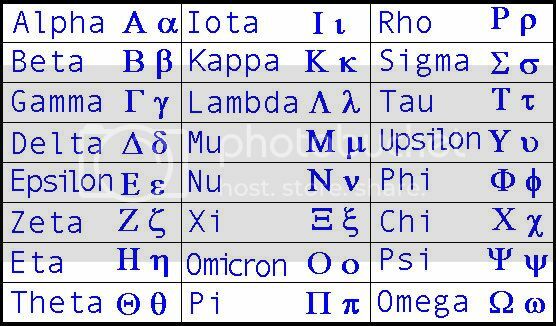 Are the wicked removed first, or are the ‘elect’ (Greek ek-lektos, “the chosen out”)? What about the ‘sons of the kingdom’ described in Matthew 13 who are to remain after the wicked are removed? Further information is given in Matthew 25–there we find we are to be like ‘virgins’, representative of the Church, preparing to meet the ‘bridegroom’, or Christ. When Christ comes at midnight when it’s hard to stay awake, we are to be ready to go with him. Those who aren’t prepared are shut out of the wedding feast (Mt 25:10). And finally, Chapter 25 ends with the “Sheep and Goats” parable where the sheep inherit the kingdom and goats “go away into eternal punishment”–now this sounds more like the “Wheat and Tares” of Chapter 13. Unfortunately we have to reconcile the gathering of the elect/virgins prepared for the bride–where do these come in? Pre-Tribulation rapture adherents will say that the elect are gathered at the beginning or part way through a tribulation period (usually 7 years), but the problem with that view is that we are told this occurs “immediately after the tribulation”. Those familiar with the seven ‘Feasts of the Lord’ described in Leviticus 23 know that the first four ‘Spring Feasts’ were fulfilled by Jesus to the very day, in consecutive order, all in His last few days on earth. The fifth Feast, presumably the next to be fulfilled, is Yom Teruah or the Feast of Trumpets. 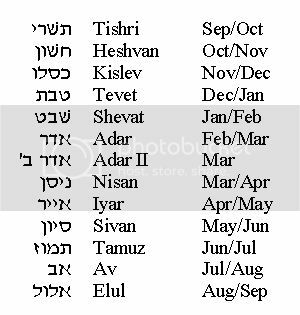 It occurs in the Fall on Tishrei 1, the 1st day of the 7th month of the Hebrew year, usually in September or October of our calendar. Several passages in the New Testament associate the blowing of ‘a great trumpet’ or ‘the last trumpet’ with the return of the Lord. The sixth and seventh Feasts are Yom Kippur, or the Day of Atonement, and Sukkot, the Feast of Tabernacles. In Revelation, when the New Jerusalem descends, a loud voice is heard to say “Behold, the tabernacle of God is among men”. Tishrei 1 or 2, the Feast of Trumpets: The Lord returns to repel the attack on Jerusalem; its the ‘Day of the Lord‘–the elect are gathered to Him. This is synonymous with the virgins entering the wedding feast. One wedding described in the bible lasted 7 days, that of Jacob & Leah (Gen 29:27-28); a Jewish wedding celebration is traditionally 7 days long. Isaiah 26:20-21 describes a time that God’s people will “enter into your rooms and close your doors behind you…until indignation runs its course. For behold, the Lord is about to come out from His place to punish the inhabitants of the earth for their iniquity.” We also find in Rev 15 that “Bowls of Wrath” are poured out on the earth after the Lord’s return at the 7th Trumpet; perhaps this occurs the week (Tishrei 3-9) between the Feast of Trumpets and the Day of Atonement; it could be that while wrath is poured out the bride is sheltered and ‘the wedding’ takes place. Treated God’s people, the Jews, with kindness per the “Sheep and Goats” parable. Believed in Christ when they mourned at His return and were shut out of the wedding chamber, including “all Israel” per Romans 11. These people will go into the Millennium as natural humans and will repopulate the earth that Christ will reign over from Jerusalem with a “rod of iron” (Psalm 2). Tishrei 15, the Feast of Tabernacles: New Jerusalem descends from Heaven to earth–the elect return in glorified bodies to rule and reign with Christ in His earthly kingdom (Rev 5:10). I was thinking about the Sealed Scrolls, Trumpets and Bowls of Wrath judgment series from the book of Revelation this morning as I was driving around doing errands. In the Bible we have many references to groups of 7’s, particularly in Revelation. In addition to the 7 lampstands, the 7 spirits of God, the 7 horns, 7 eyes, and 7 churches, we obviously have the 7 Seals, 7 Trumpets and 7 Bowls. Added together these three equal 21, an uncommon number in scripture. This might actually be another clue (there are many others) that these 3 groupings are not in series, but are parallel, or roughly co-occurring. Why do I say that? There are only two uses of the number 21 in all of the Bible; that was the age Zedekiah became king and it was the amount of days Michael was resisted by the king of Persia on his way to answer Daniel’s prayer. Ephesians 4:30, Do not grieve the Holy Spirit of God, by whom you were sealed for the day of redemption. 1 Thessalonians 4:16, For the Lord Himself will descend from heaven with a shout, with the voice of the archangel and with the trumpet of God, and the dead in Christ will rise first. Why does this association of the three persons of the Godhead to the Seals, Trumpets and Bowls reinforce for me their parallelism, or synchronicity? 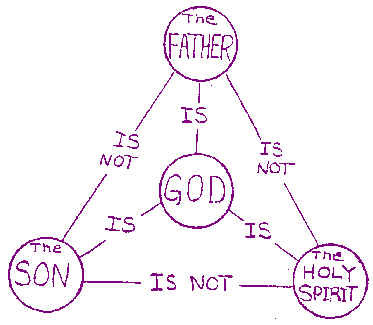 Because we know that God is not three separate beings, but a unified one; He is not in series (that error is called Sabellianism, or modalism or modalistic monarchianism, the belief that God transitions from Father to Son to Holy Spirit through time), but He is parallel–He is only one what (God), but three whos (Father, Son & Holy Spirit). The Seals, Trumpets and Bowls likewise are one what (the end times from John to the return of Christ) seen through three, individual descriptions. They are not predictive of separate times, but the same time through different lens. They co-exist; they overlap, they co-occur, interlace, converge; they are telescoping. 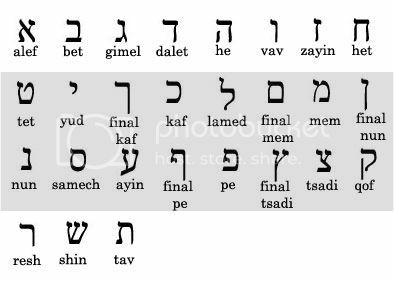 The last one or two of each series, Seals 6 & 7, the last Trumpet and the last Bowl all describe the return of the Lord. Along the way, down the road of history they tell us of different, important events, from different angles, with different emphases. 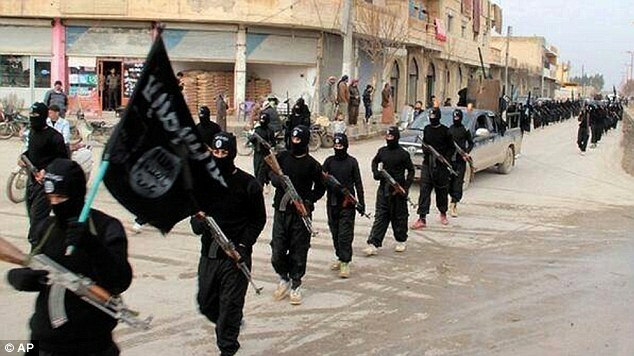 Will flying missiles drive Jews into the Bozrah “Sheep Fold”? Mountaintop location of Busheira, or “Bozrah”, with steep drops on all sides except for a single, narrow access. In the King James Version the Hebrew word “Bozrah” (בצרה , botsrah, Strong’s H1223 & H1224) is kept instead of “fold”, as it’s translated in the New American Standard Bible; “Bozrah” means a “fold” for sheep. It is also a place name in southern Jordan, SE of the Dead Sea, currently the town Busheira in the highlands on the eastern escarpment of the Jordan rift valley . It is the original location of Edom, the alternate name of Esau. Bozrah is first referenced in the Bible as the abode of Esau’s grandson in Genesis 36:33. This passage, along with Zechariah 14:3,4, “Then the Lord will go forth and fight against those nations, as when He fights on a day of battle. In that day His feet will stand on the Mount of Olives, which is in front of Jerusalem on the east”, foresees Yeshua the Messiah returning to vanquish the enemies who have invaded Israel and besieged Jerusalem, but what of this mention of coming from “Edom” and “Bozrah” before arriving in Jerusalem? One scenario has Yeshua setting free His people who have taken refuge in (or perhaps been cornered in ??) Bozrah, just prior to His appearance on the Mt. of Olives. This article can be read in full here. Similar articles can be read here, and this this one has the intriguing title of “Tel Aviv ‘exodus’ planned in event of missile strike”. So perhaps a future missile or WMD strike against Israel will prompt a mass exodus to the southern Israel Negev desert. The Negev is less than 20 miles west of Busheira. At its closest point near Idan, the Israel border is only about 16 miles as the crow flies. What might prompt a massive crossing of the border by Jews after seeking refuge in the Negev? Perhaps a redirected attack on these evacuees? Seeking shelter from fallout or chemical weapons? Or will they be chased there by pursuing armies of the surrounding nations? It could even be that knowing God’s Micah 2 promise to rescue them from the “sheep fold” will inspire many to trust Him for a Bozrah breakout. A more thorough biblical search needs to be done on these possibilities. The ancient fortress of Busheira is on a mountaintop, standing alone above a canyon dropping toward the desert and Israel – it might be seen as a place of safety, of shelter or of last resort – a fold for lost sheep. Mt 24:15-16: “Therefore when you see the ABOMINATION OF DESOLATION which was spoken of through Daniel the prophet, standing in the holy place (let the reader understand) then those who are in Judea must flee to the mountains. Lk 21:20 “But when you see Jerusalem surrounded by armies, then recognize that her desolation is near. Mt 24:16-21: Those who are in Judea must flee [4a] to the mountains. Whoever is on the housetop must not go down [4a] to get the things out that are in his house. Whoever is in the field must not turn back [4a] to get his cloak. But woe to those who are pregnant and to those who are nursing babies in those days! But pray that your flight [4a] will not be in the winter, or on a Sabbath. For then there will be a great tribulation [4c], such as has not occurred since the beginning of the world until now, nor ever will. 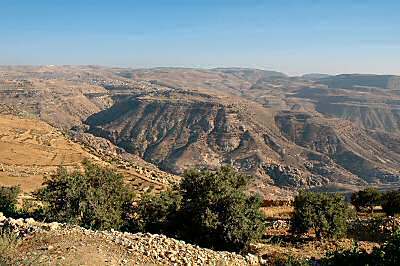 Mk 13:14-20: Those who are in Judea must flee [4a] to the mountains. The one who is on the housetop must not go down [4a], or go in to get anything out of his house; and the one who is in the field must not turn back [4a] to get his coat. But woe to those who are pregnant and to those who are nursing babies in those days! But pray that it may not happen in the winter. For those days will be a time of tribulation [4c] such as has not occurred since the beginning of the creation which God created until now, and never will. Unless the Lord had shortened those days, no life would have been saved; but for the sake of the elect, whom He chose, He shortened the days. Rom 6:2: How shall we who died to sin [5b] still live in it? Heb 9:26: He has been manifested to put away sin [5b] by the sacrifice of Himself. Heb 10:12: He, having offered one sacrifice for sins for all time [5d], SAT DOWN AT THE RIGHT HAND OF GOD. Two ‘Little Horns’ – Do Daniel Chapters 7 & 8 describe the same individual? A prevalent view I’ve encountered lately is that the “Little Horns” of Daniel chapters 7 & 8 describe the same person. After all they both chronicle “Little Horns”, a rather unique descriptor, and either explicitly or implicitly state that “the vision pertains to the time of the end” (Dan 8:17, 19). The term “Little Horn” is too specific it is argued, it must they refer to the same time, kingdom and individual! While there are clearly some differences, mustn’t we massage and synthesize the data to arrive at the truth? No. To be certain, there is a relationship between the two; they are in the same ‘family’; similar, but not the same evil entity. This LH was slain, and given to the burning fire, presumably by “the Ancient of Days”, described in verses 9 & 10 (v11). BTW, this is also the destiny of “the Beast” of Revelation, see Rev 19:20. Inserted into this description of this Little Horn’s time is the coming of the ‘Son of Man’ (v13), who brings an everlasting kingdom, with people serving Him, that will never pass away. It is rather simple to conclude that this is a prophecy of Yeshua, the Son of Man’s second coming, and this Little Horn, who is tied with the terrible, fourth beast (v7, 8, 11, 19, & 20), is none other than the Antichrist, the Beast of Revelation. It grew toward “the host of Heaven”, causing some of these stars to fall (v10). These could be the holy people, the Jews, or angels. It magnified itself to be equal to the Commander of the Host (Yahweh God), and removed the regular sacrifice from Him (v11). Historically sacrifice was stopped for several years by AE, in 168-165 BC. The transgression that causes horror, the vision of the stopping of the regular sacrifice, takes 2300 evenings and mornings to be properly restored (v13, 14). This could mean 2300 days, or 1150 days, since “evenings and mornings” are described, possibly referring to the twice daily sacrifices. This in itself is a “foreshadowing” or type of the Abomination of Desolation which descends on Israel as a result of their rejection of their Messiah, Yeshua. Verses 20-26 of Chapter 7 interpret the verses referenced above, including revealing the kingdoms involved (Media, Persia and Greece) and more detailed description of this insolent king, skilled in intrigue (v23). The Ch. 7 LH arises from the terrible beast, different from all others, amidst 10 horns, overthrowing 3, while the Ch. 8 LH arises out of one of the four horns, described as emanating from Greece. The Ch. 7 LH is defeated by appearance of both the Ancient of Days and the Son of Man, resulting in an eternal kingdom wherein the Son is served and obeyed by all peoples and men of every language, while the Ch. 8 LH stops regular sacrifice, which is eventually restored. 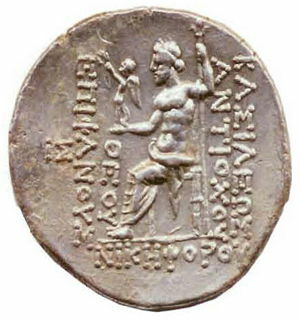 The only one who meets this description is Antiochus Epiphanes, because after he died, the temple sacrifices were reinitiated. Following the desolation of the temple in 70 A.D., there can be no regular sacrifice to interrupt or restore. The similarities are noteworthy as well—they are both “horns”, imbued with strength, they both afflict and war against the holy people, they appear in the future relative to Daniel’s point of view, and the two Little Horns are eventually destroyed by God. 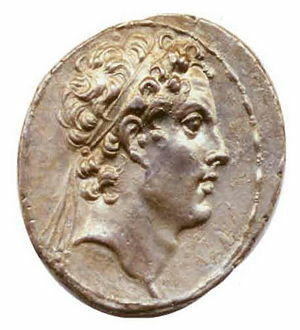 The End Time, eschatonic Beast and the Little Horn that arises from him are described first, then this Little Horn’s foreshadower Antiochus Epiphanes, also a Little Horn, is revealed. In other words, “here is how things finally end with the appearance of the Son of Man’s eternal kingdom on earth” (Chapter 7) while “this one is a pattern and type; he will appear first” (Chapter 8). You are currently browsing the archives for the Topical Studies – End Times category.